Summer items to shop for now! Yes, we’re still feeling the harsh winter cold, but did you know that now is actually the best time to shop for summer items. According to consumer finance expert, John Sternal, you can save big on everything from clothing to vacations. Check out his tips on what you should buy today. If you love to garden or spend a lot of time in the backyard during summer, now is a great time to shop for products like lawn mowers, patio furniture and BBQ grills. At some locations you can find them for half price. Most people get their air conditioning unit repaired right before the hot summer months begin. You’ll definitely save more by having someone do maintenance during the winter to make sure it’s still running fine from the previous summer. A/C repair people raise their rates when it starts to warm up. Prices come way down on sporty little convertibles during the winter because demand is low. 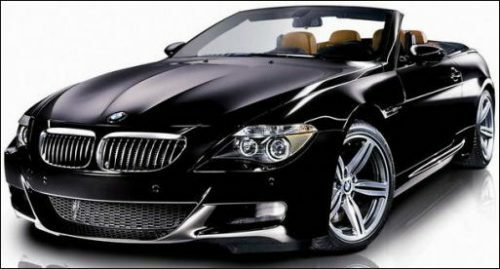 And for an even greater deal check out a website like LeaseTrader.com where you can pick up the remaining 10 months on someone else’s convertible. You’ll avoid the down payment and be out of the contract by next October. Kids going away to summer camp? Don’t delay, lock up those arrangements now for big savings. Some camp prices are one-third off the regular price depending on where you’ll be sending your children. Check out great coupon websites like CouponWinner.com and FreeShippingCoupon.com to find fabulous savings on seasonal and off-season items. Vacations are another area where you can save a lot during the winter. If you don’t have a lot of flexibility in your summer vacation schedule, book that late July cruise today and you’ll see a considerable savings compared with prices for the same cruise come May. Planning for a late spring wedding? Buy your champagne right after the New Year’s celebrations rather than wait for spring to arrive. You’ll take advantage of deep discounts from retailers looking to shed excess inventory from the holidays and it will keep just fine. For women who search tirelessly for the perfect bikini yet hate to pay high prices, check out BikiniThief.com, which offers a variety of the latest bikini styles at a very affordable price. For those who are a little more adventurous at finding amazing deals on summer items, check out MercadoLibre.com, the Latin American version of eBay. The seasons are switched so if you understand Spanish – or if you have a friend that does – you can find plenty of hot, summer items during spring when their season comes to a close.